Dry erase surface on both sides. 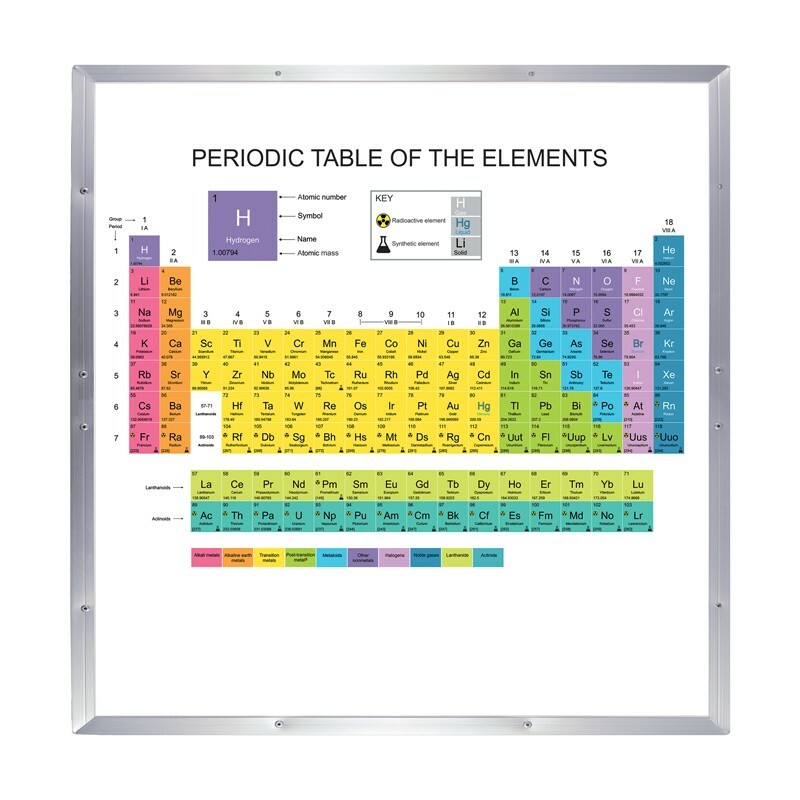 Labeled periodic table on one side, blank table on the other. 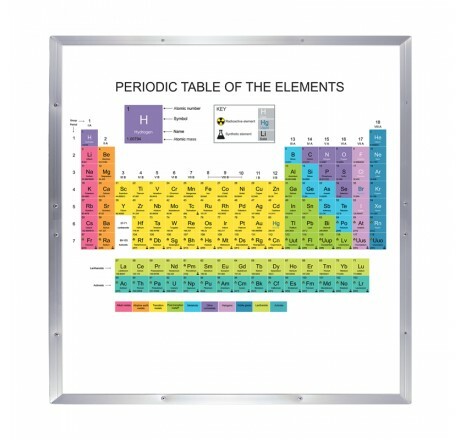 Aluminum frame with sturdy hanging loops.